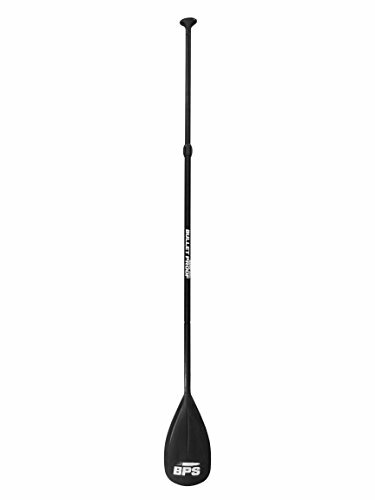 This 3-piece adjustable SUP paddle delivers a strong aluminum shaft, a durable nylon composite blade, and a super comfortable handle. It is strong but very light (2.1 lbs.) which is often an issue with 3-piece paddles. 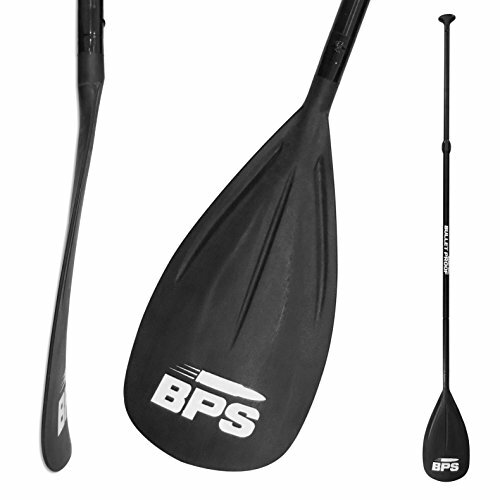 Being a member of the extremely popular ‘BPS’ range of paddles, this shows great pedigree, having been designed and tested in New Zealand. Blade’s Accent Color now available! 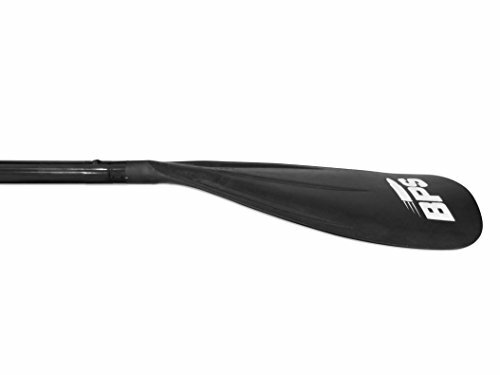 The height range is simply huge: 66 – 83″ (1.67 – 2.1 m), it suits a very broad range of paddlers (4’6 and up). It can easily adjust more than most paddles do and take just seconds to assemble or break apart and pack away. 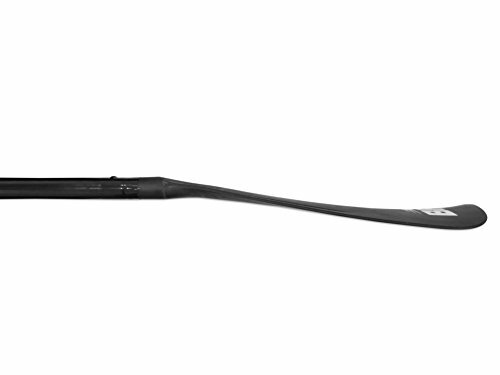 The lightweight really reduces paddler fatigue and makes it easy for virtually anyone to use – important when being used by children or lighter adults in which paddle weight really matters. It is guaranteed to float in both salt and fresh water when the parts are together. Every buyer will be emailed a photographic e-guide to know more about this product (written by an experienced paddle boarder). Get to choose with or without cleverly designed paddle bag to protect your paddle, which also helps it to pack down to a seriously compact size in seconds making traveling incredibly easy. The super handy carry bag has 3 compartments to stop any parts rubbing during travel and a heat reflective inner lining to prevent the paddle from heating up. This 3 piece adjustable SUP paddle delivers a strong aluminium shaft, a durable nylon composite blade, and a super comfortable handle. It is strong but also light (2.1 pounds!) which is often an issue with three piece paddles. The height range is simply huge – 66 inches to 83 inches (1.665 – 2.1m) – so it suits a very broad range of paddlers (4 foot 6 and up) – so as well as being light and strong it can adjust more than most other paddles. The light weight really reduces paddler fatigue and makes it easy for virtually anyone to use – important when being used by children or lighter adults – when paddle weight really matters. It takes just seconds to assemble – or break down and pack away, and of course is super easy to adjust the height. It is super durable and built to deliver years of fun and is guaranteed to ALWAYS float, and has a ‘Bullet Proof’ complete replacement guarantee for a FULL 12 months. 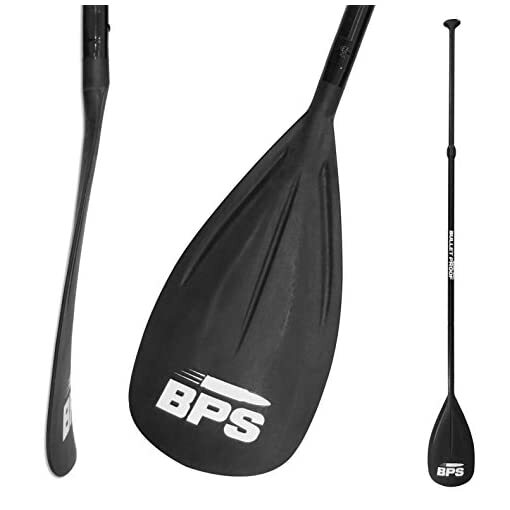 A new member of the extremely popular ‘BPS’ range of paddles this 3 piece paddle shows great pedigree, having been designed and tested in New Zealand. 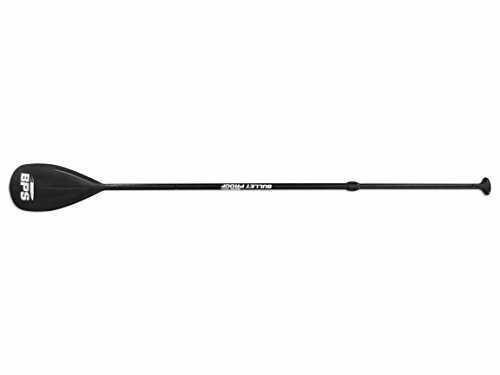 It is a great general use paddle that is very durable (approved by Bullet Proof’s 240 pound tester), and suitable for virtually anyone due to its lightweight. Thanks for looking at a product from our store – we are a small family business that ONLY sells what we know and love – water sports gear. We know our products, use our products, and stand behind them 100%. If you have any questions about any of our products please just ask. 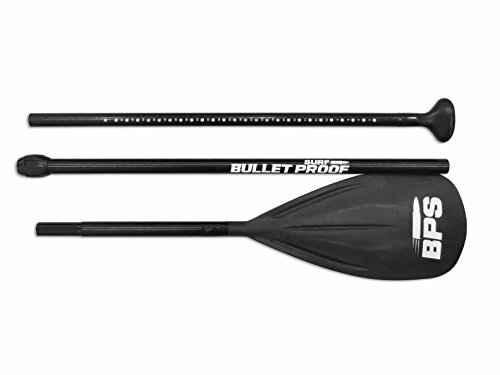 Buy with confidence – these BPS paddles have a ‘Bullet Proof’ guarantee – if it doesn’t deliver what it is supposed to at any time within 12 MONTHS of purchase – it will be replaced or refunded – you choose.